Seeds or plays on table. 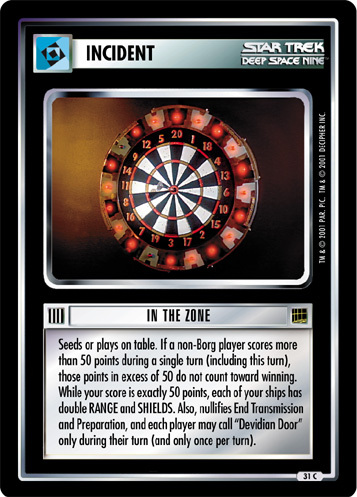 If a non-Borg player scores more than 50 points during a single turn (including this turn), those points in excess of 50 do not count toward winning. 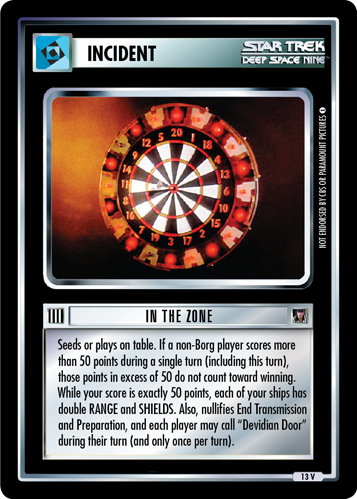 While your score is exactly 50 points, each of your ships has double RANGE and SHIELDS. 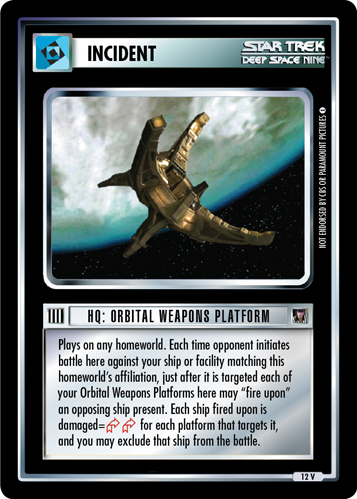 Also, nullifies End Transmission and Preparation, and each player may call "Devidian Door" only during their turn (and only once per turn).